MORE DRAMA & EXCITEMENT THAN ANY HOLLYWOOD BLOCKBUSTER! 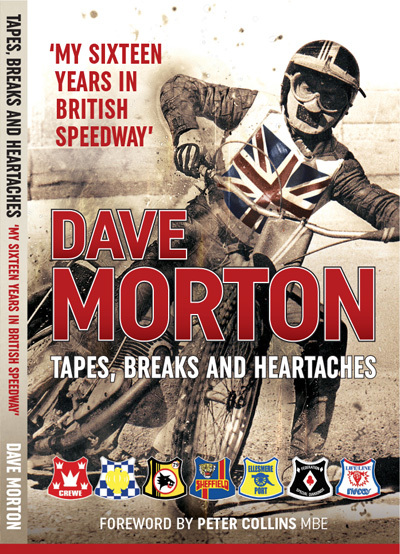 The epic story of how the colourful, courageous Californians came and conquered Britain in the 70s, 80s & early 90s. Re-live the thrills and brilliant performances of this all-star cast on the biggest domestic speedway stage. Four hours (2 discs) of Americans racing for club and country in . 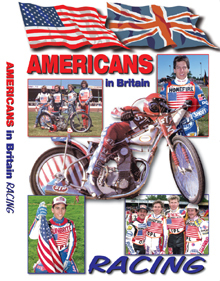 . .
As well as great race action, enjoy contemporary interviews with the popular racers who wore the stars & stripes overseas with great pride and distinction. Also featured in action on this DVD . 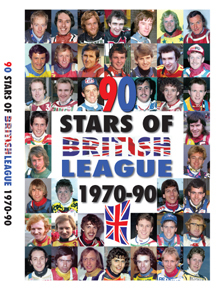 . .
From England: Peter Collins, Michael Lee, Kenny Carter, Gary Havelock, Malcolm Simmons, John Louis, Ray Wilson, Martin Ashby, Dave Jessup, John Davis, Chris Morton, Gordon Kennett, Les Collins, Phil Collins, Jeremy Doncaster, Steve Bastable, Alan Grahame, Andy Grahame, Kelvin Tatum, Simon Wigg, Simon Cross, Andy Smith, Paul Thorp, Sean Wilson, Paul Woods, Kevin Jolly, Richard Knight, Bernie Leigh, Ashley Pullen, Trevor Geer, Dave Kennett, Phil White, Eric Broadbelt, Mick Hines, Andy Hines, Andrew Silver, Alan Mogridge, Nigel Flatman, Tim Hunt, Peter Carr, Sean Willmott, Graham Jones, Rob Carter, Rob Fortune, Glenn Hornby. 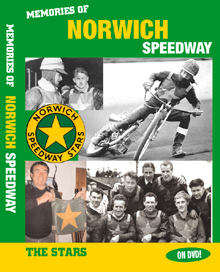 From Denmark: Ole Olsen, Hans Nielsen, Erik Gundersen, Tommy Knudsen, Jan O. Pedersen, Finn Thomsen, Alf Busk, Preben Eriksen, Peter Ravn, John Jorgensen, Jan Staechmann, Kent Noer, John Eskildsen. From Sweden: Anders Michanek, Jan Andersson, Richard Hellsen, Borge Ring, Anders Eriksson, Lars Hammarberg. From New Zealand: Ivan Mauger, Larry Ross, Mitch Shirra, Bruce Cribb, Tony Briggs, Wayne Brown, David Bargh. 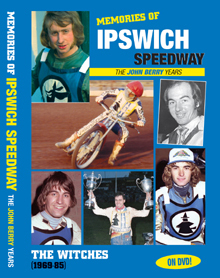 From Australia: Phil Crump, Billy Sanders, Leigh Adams, John Boulger, Bob Valentine, John Titman, Mick McKeon, Gary Guglielmi, Phil Herne, Danny Kennedy, Steve Baker, Steve Regeling. From Poland: Edwarz Jancarz, Marek Cieslak, Jerzy Rembas, Robert Slabon. From Scotland: Jimmy McMillan, Bobby Beaton. From Czech Republic: Jiri Stancl, Petr Ondrasik, Ales Dryml, Toni Kasper. From the Rest of the World: Egon Muller, Armando Castagna, Ila Teromaa, Kai Niemi, Ari Koponen, Rolf Gramstad, Georg Gilgenreiner, Zoltan Adorjan.